As the Los Angeles Film Festival continues, I got to weigh in on one of this week’s big studio releases and discover some genre offerings in the found-footage horror and Hong Kong action territory. I actually have some detailed thoughts on Goodbye World, but I’m saving for a full review. In the meantime here are some thoughts on the latest LAFF showings. I agree that Monsters University is Pixar’s best movie in years, because their last two movies were Brave and Cars 2. There are some funny jokes in it but I felt they were only enough to fill a short, not a feature. Monsters shorts would be a great idea, but the movie sequel should have been Boo all grown up. That’s the story. How does a grown-up woman relate to the monsters she befriended as an innocent child? I think it was a mistake to make Sully (John Goodman) and Mike Wazowski (Billy Crystal) college adversaries. I get that this is supposed to be the story of how they became friends, but that’s actually lazy writing, reverse engineering a conflict out of a resolution that already exists in the first movie. That’s why it would be more exciting to see what Boo’s up to now because it’s unknown. Not to mention, we’re going back to before Monsters, Inc. learned that laughter is more powerful than fear, so they’re even using outdated technology! There are some really funny jokes that only work in animation. They hold the shot of a rushing snail just a little too long, so it’s funny. The two headed Terry and Terri is funny but they only have two instances of the the heads trying to do opposing things. That’s comic gold you’re leaving unpanned. I liked the coffee monster and the football game, but the film’s central story plods. This generation does need a fun college movie, and Monsters University can get them when they’re even younger than the R-rated teen comedies and maybe instill a generation with school spirit. Monsters U is more PCU than Revenge of the Nerds or Animal House though. They hardly explore the school at all. It’s really about the Scare Games, an Olympic style competition in which Mike and Sully have to compete to remain enrolled, and the University is just the setting. 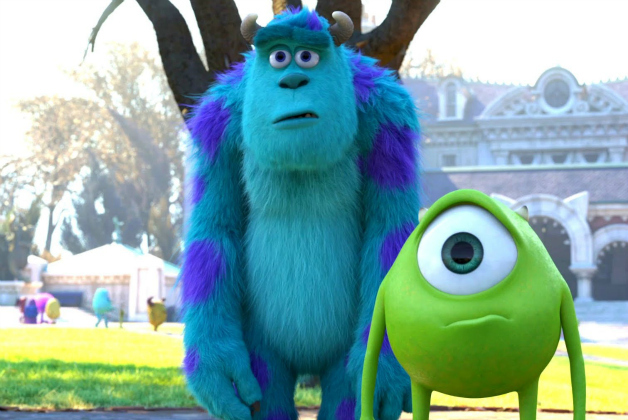 I think there was a lot more to explore as far as career paths in different monster industries MU could prepare you for, a la the scare can class to which Mike and Sully get demoted. Monsters University gets to a juicy third act where Mike and Sully really do shake things up, but most of the movie is a thin plot on which they needed to hang more jokes. Sure, it’s a good message to show kids that you can resolve conflicts and unexpected people become your best friends, but maybe don’t be so transparent about it. “Delivery” was supposed to be a reality show about Kyle (Danny Barclay) and Rachel Massey (Laurel Vail) during their first pregnancy after difficulty conceiving. Since Rachel died under mysterious circumstances, the footage was assembled into this movie. So it’s found-footage, but simulated to come from a professional television crew. Director Brian Netto has a real handle on the fundamentals of production as far as reality TV, let alone filmmaking. The opening of the film is the pilot to “Delivery,” and he nails the trite pathos of reality shows, with fake sped up footage and peppy-yet-generic music. Then it captures the Massey’s heartbreak with sad reality music playing underneath. Since the pilot never went to series, the rest of the movie is just raw footage, sometimes with timecode and other nice touches to indicate its roughness. The film still contrives minimalist scares like door knocking, EVP sounds and pixelations occurring at strategically timed moments. There’s even a formation of sticks on the ground. 14 years after Blair Witch, and we haven’t moved past sticks. What makes these staples of the found footage genre a little more involving are the professionalism of the filmmakers and the quality of the couple. Rick Lucido (Rob Cobuzio) is the producer of “Delivery” and he becomes a character as a talking head reflecting on the tragedy. The filmmakers behind the camera challenge him on potentially faking some of the scares and follow up thoroughly after uncovering some really disturbing footage Lucido captured. Most effectively, Kyle and Rachel are a really believable couple. You could really just be watching the stress of a pregnancy amped up by coincidental circumstances. Kyle is a much better husband than Micah was a boyfriend in Paranormal. Kyle is proactive and working towards solutions, rather than Micah instigating his freaked out girlfriend and ignoring the warning signs. I know how all this works and I’m not going to be scared by sounds and video glitches, but I can appreciate good filmmaking within, and to some extent above, genre constraints. I will admit, Delivery shocked me. Nice job, guys. You got me. Let me just address the elephant in the room here. I liked Apollo 18. It was found footage in space and a fun B-movie with lots of cool gimmicks. Europa Report is found footage in space with better actors, but lots of boring technobabble and even worse cinematography. A mission to Europa, one of Jupiter’s moons, goes wrong and when the footage is declassified, they assemble this film. We get to know the crew through their messages to family and mundane banter about life on a space ship. Oh, Daniel’s missing his toothbrush. I see what you’re doing, humanizing banter, sigh. They have to fix some malfunctions on board, and then they explore Europa. The footage is clearer than Apollo 18 because they’re not degrading it to simulate a ‘70s space mission. There are one and a half suspense sequences in the film. A deep space repair becomes a heroic rescue. That works, inasmuch as it cribs from 2001. A catastrophe on Europa should be exciting but it’s filmed in POV shots of an empty landscape or helmet cam shots in extreme closeup of the astronaut’s eyes. There’s minimalist and then there’s just not doing anything. These angles reveal even less than Apollo 18. At least Apollo 18 had some moon rocks come to life, infect the crew and a pretty outrageous third act catastrophe. Sharlto Copley is really charismatic as engineer James, our sort of NASA genius as rogue everyman. The ship is a beautiful set but watching it is dull. All their tech talk may be scientifically accurate but I couldn’t follow all their tests and procedures. We only see some pixelated static and sparks flying in the space station as indicators of something afoot. SPOILER HERE: When Europa Report finally reveals its money shot, what is supposed to be a wonderful discovery just looks like the same CGI tentacle creature from every movie. Seriously, alien moon rocks were a clever minimalist twist. If your complaint about Apollo 18 was that nothing happened in it, then please at least be consistent and notice even less happens in Europa Report. 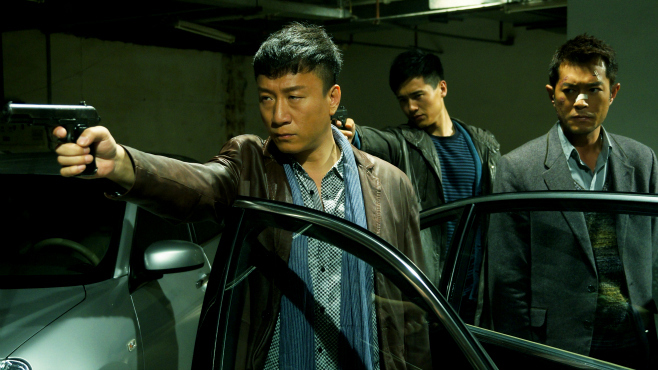 As a lover of Hong Kong movies, I was excited to see a Johnnie To (Exiled) film at LAFF. It starts out promisingly as it explores a police drug sting with intimate details that give it gritty personality like, ahem, extracting drug packets from mules. Mr. To sets up the tension of the police in the sting operation but the undercover operation drags on, even when we understand the stakes they are stretching out. The operations of police and drug cartels are elaborate and their execution precise, but it doesn’t hold the momentum. The film’s violent finale is more what we expect from To and Hong Kong cinema in general, and it’s about the only burst of life in the movie. It’s also a bit of a cliche in this post-John Woo world, but at least it’s unabashedly gratuitous. I wouldn’t recommend Drug War and I’m not even that glad I stayed to watch it, but between the procedure and the finale I guess it had some moments.